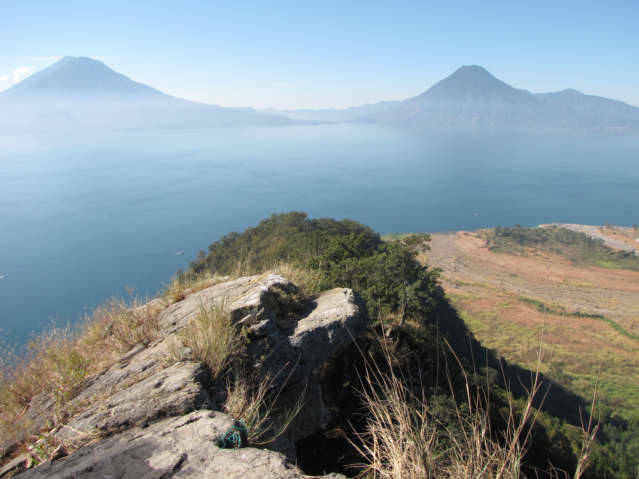 Here are some photos of Lago Atitlan from a great Mirador or viewpoint. I took a two Quetzal Chicken Bus from Panajachel up the hill to the next village on the way to Solola. I jumped out of the bus at the San Jorge stop and walked back about 50 meters to a lookout point. Do not go down the large road next to the bus stop at the San Jorge stop, but walk along the road back towards Panajachel. 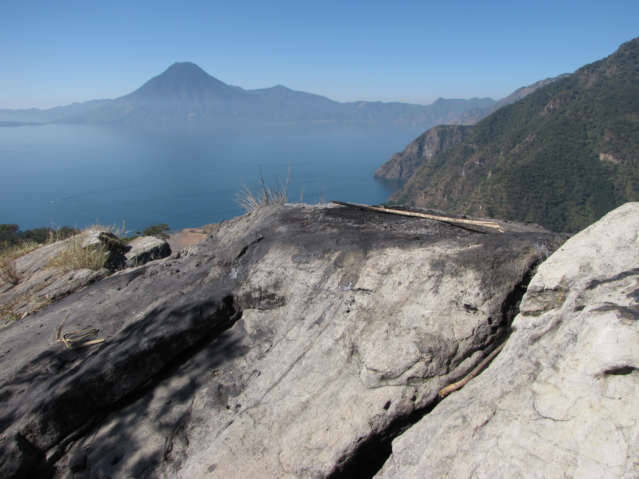 There is a stone path that leads out to one of the best places to see Lago Atitlan. If you walk out to the end can see three volcanoes, however one is semi hidden by the other. The volcano on the left has another one behind it. A flat spot where people have had bonfires is on the farthest most point on this spit of land that is located to the left of the village of San Jorge. Guatemala. 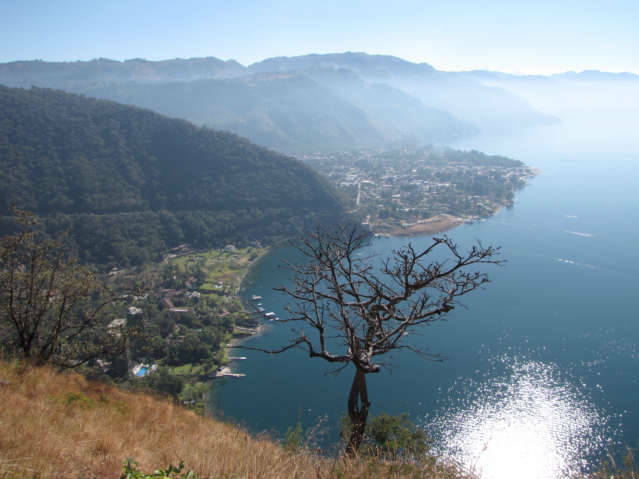 This is a view of Panajachel, from the viewpoint. If you wish to go to this viewpoint, you should take into consideration where the sun is located. It is about 10:00 am in this photo, therefore the sun is just above Panajachel, the sun is setting in January between the two volcanoes in the photo. I made a video up on this viewpoint and took one photo of Mayan ceremony in progress in a small cave like area of the mountain here, I will publish soon.